Soju, a Korean distilled spirit, is a staple of many bar’s cocktail menus – especially here in Los Angeles, since a beer and wine license includes soju. Its neutral flavor and relatively high alcohol content make it a good substitute for vodka in cocktails. 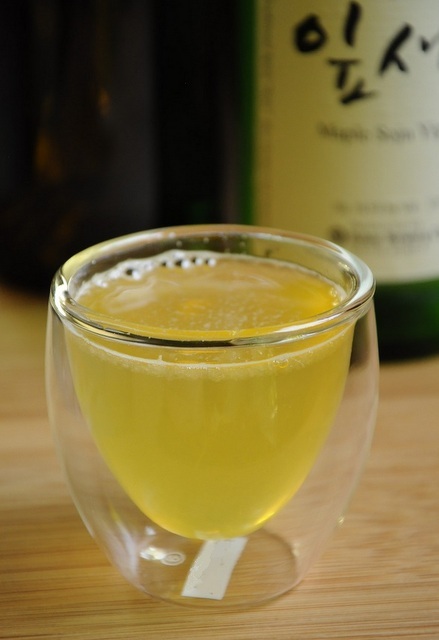 This simple cocktail combines soju, honey and lemon for a drink that is sweet and soothing. Pour ingredients into a mixing glass with ice. Shake and strain into a soju glass.